This fall is going to be a busy one for me! In addition to the release of one of my projects – a very big video game that I’m quite excited about (more info coming soon) – I’ll also be doing three speaking engagements. I thought I’d share info about those here, in case any of you might be attending. It would be great to see you there, and if you bring along a copy of my book (A Composer’s Guide to Game Music), I’d be happy to sign it for you! 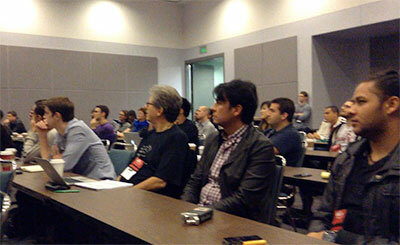 It’s my pleasure to speak at GameSoundCon again this year! Last year was tremendous fun, and I’m looking forward to giving another lecture to the wonderfully creative and enthusiastic game audio folks who attend GameSoundCon! My presentation, entitled “Advanced Composition Techniques for Adaptive Systems,” will take place on October 8th. 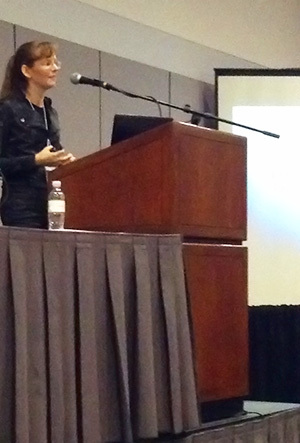 Here are a couple of photos from my presentation last year. 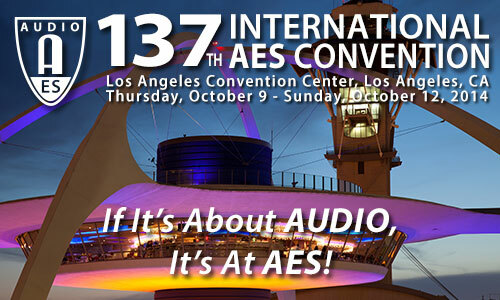 I’m looking forward to speaking at this year’s AES convention. My presentation, entitled “Effective Interactive Music Systems: The Nuts and Bolts of Dynamic Musical Content,” will take place on October 9th. I’ll also be speaking on October 10th as a part of a panel entitled “Game Biz 101: How to Jump Start Your Career.” The panelists also include Guy Whitmore (Studio Audio Director at PopCap Games), Stephan Schütze (Audio Director of the Sound Librarian), Richard Warp (Audio Lead at Leapfrog Enterprises), and our moderator Steve Horowitz (Audio Director, Nickelodeon Digital). 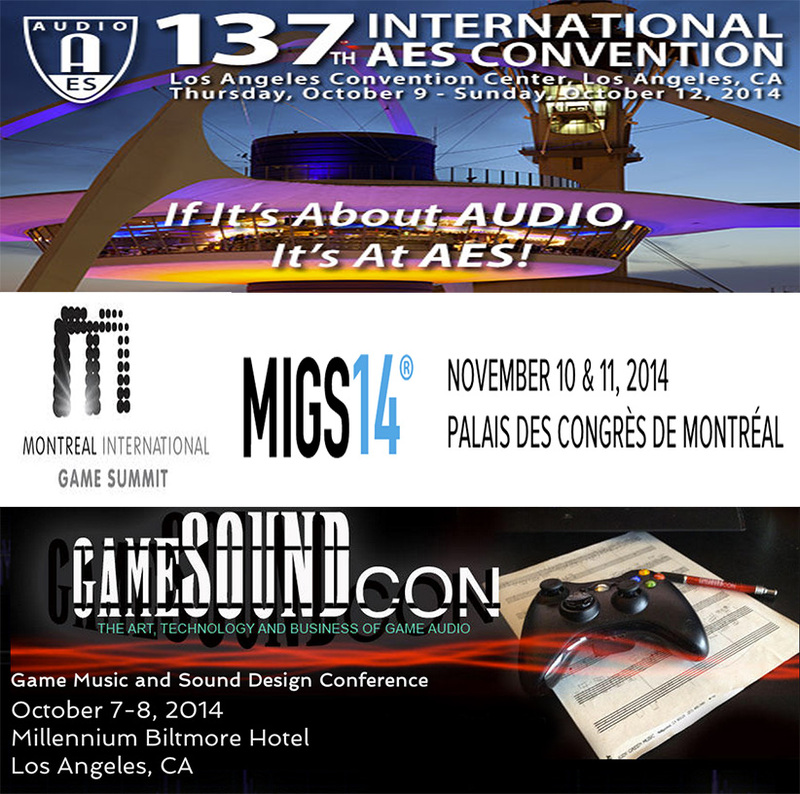 It will be a tremendous pleasure to speak again at the Montreal International Games Summit. Last year was a fantastic experience, and I’m looking forward to returning to Montreal! My presentation will be entitled “Music, the Brain, and the Three Levels of Immersion.” Here’s a video of my presentation at last year’s Montreal International Games Summit.